The ‘Alexa loses her voice’ campaign was a two-week user experience that took place before, during and after the 2018 Super Bowl. We effectively brought the fantasy of the TV commercial into the reality of Americans homes nationwide. A week before the game, over a million consumers discovered Alexa was losing her voice, upon interacting with her on their device. 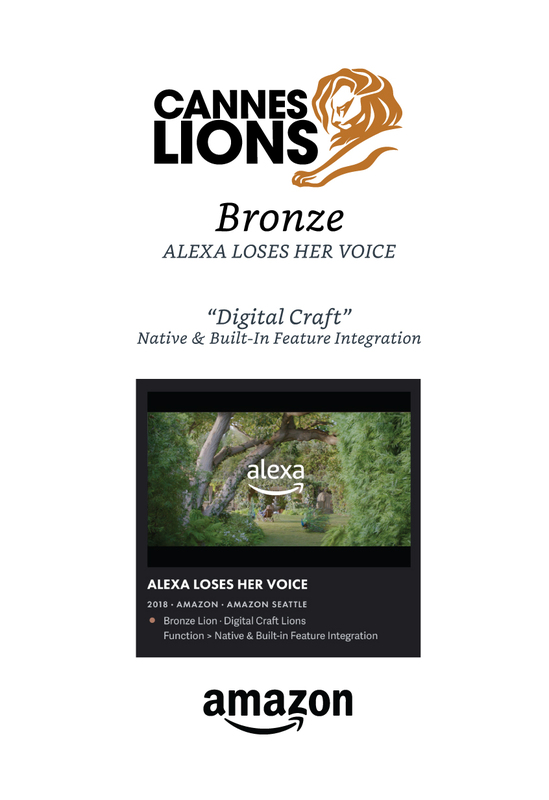 People began tweeting, “What’s wrong with Alexa?” Overall, we created over 60 on-device interactions with Alexa, replacing her with world-famous celebrity voices, and created over 200 pieces of social content, as well as two TV spots for the big game. The ‘Alexa loses her voice’ was the most talked about campaign the week leading up to the Super Bowl—earning over 1.5 Billion media impressions. 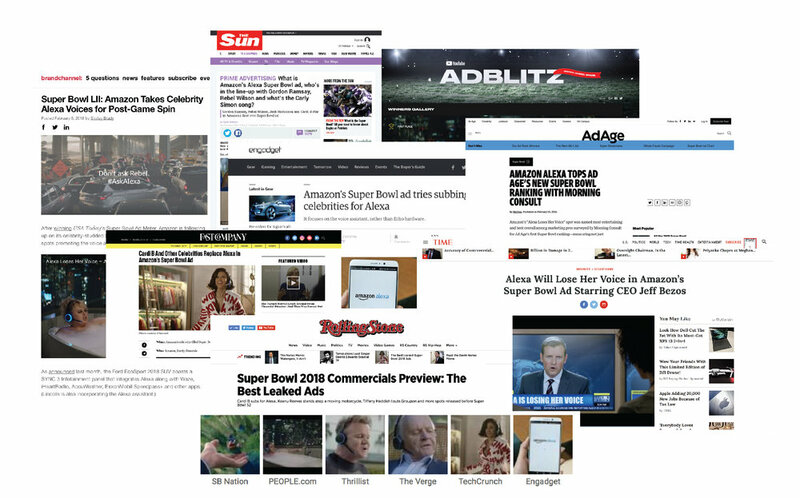 It was unanimously crowned victor of the Super Bowl—winning the USA Today’s Admeter, YouTube Adblitz and Ad Age’s Super Bowl roundup. The spot was viewed over 43M times and was the most talked about campaign on twitter the same week, with 720K mentions. Intent to purchase Alexa increased 4% vs pre campaign and perception of Amazon Echo having ‘Many uses in everyday life’ improved 5%. This contributed to a 300% lift in sales of Echo devices year on year during Super Bowl weekend. We achieved over 1 million interactions with the on device Easter Eggs we created, an experience exclusive to current Alexa device owners.